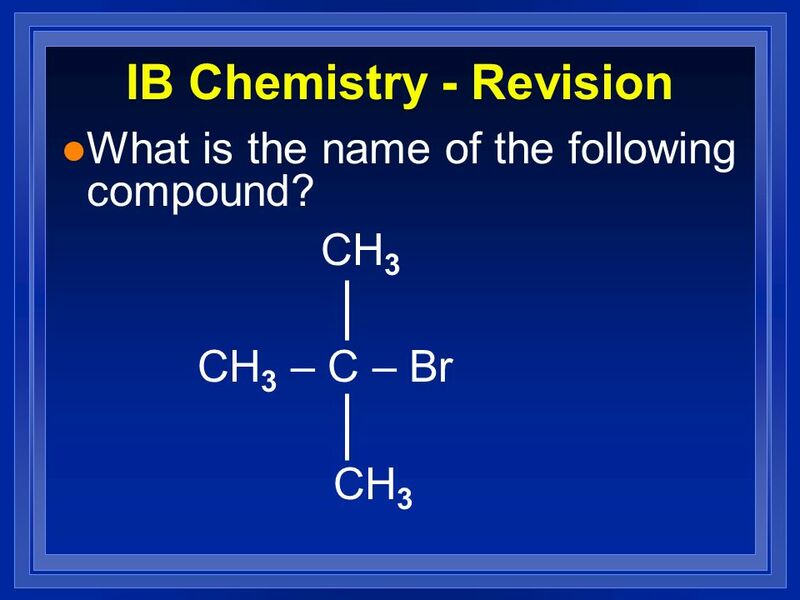 The most important way to classify organic compounds is by ______. 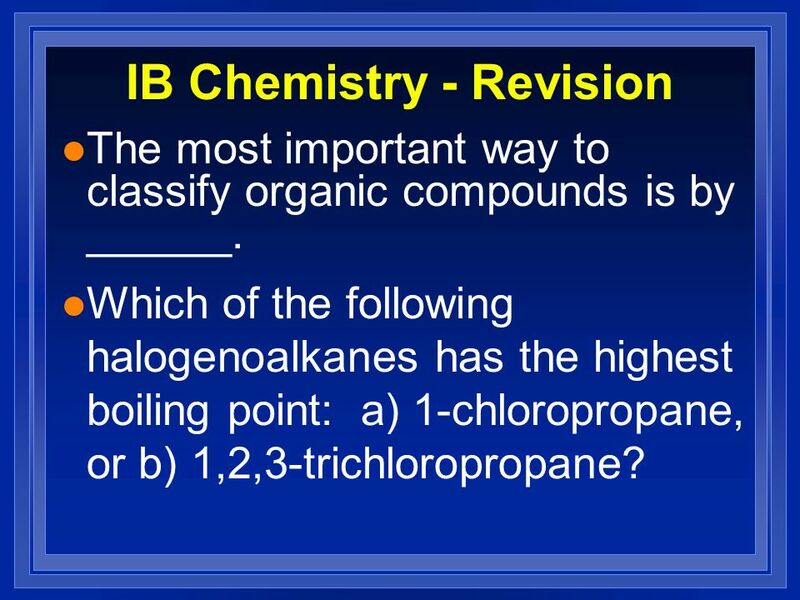 Which of the following halogenoalkanes has the highest boiling point: a) 1-chloropropane, or b) 1,2,3-trichloropropane? 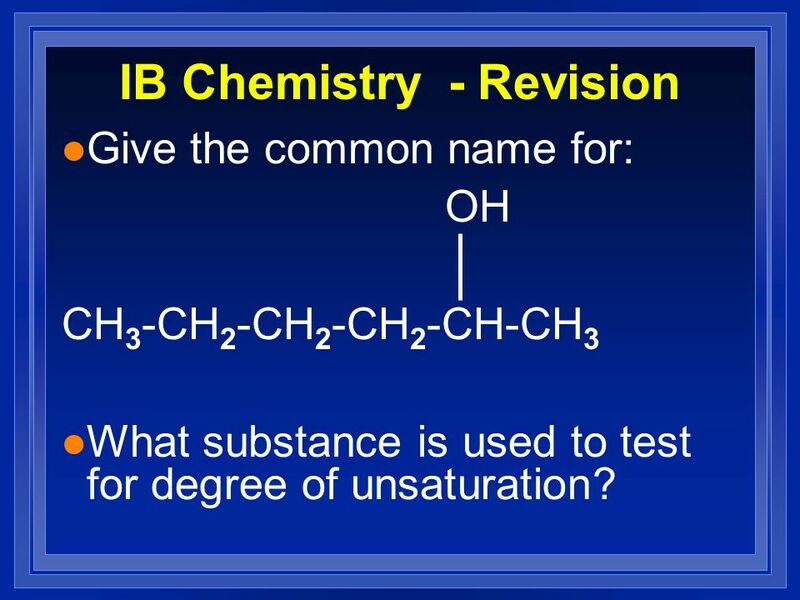 Give the common name for: OH CH3-CH2-CH2-CH2-CH-CH3 What substance is used to test for degree of unsaturation? 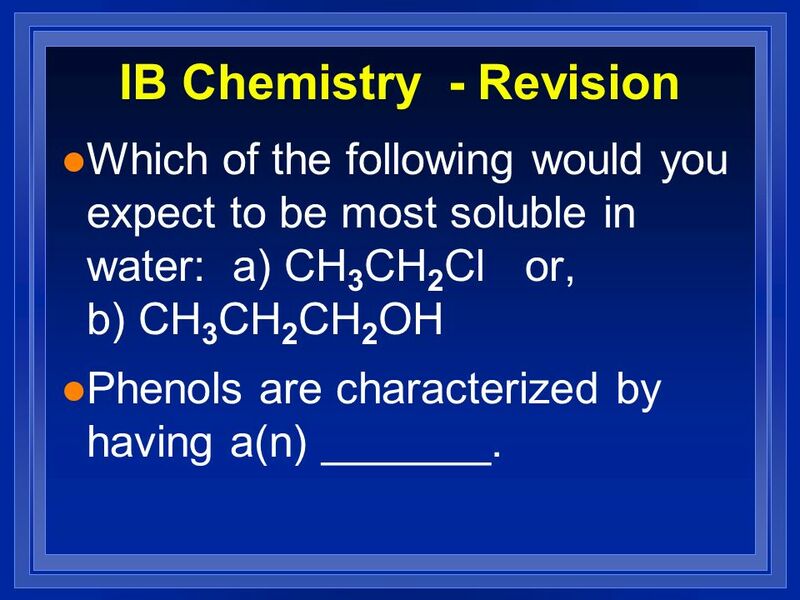 Which of the following would you expect to be most soluble in water: a) CH3CH2Cl or, b) CH3CH2CH2OH Phenols are characterized by having a(n) _______. What is glycerol? 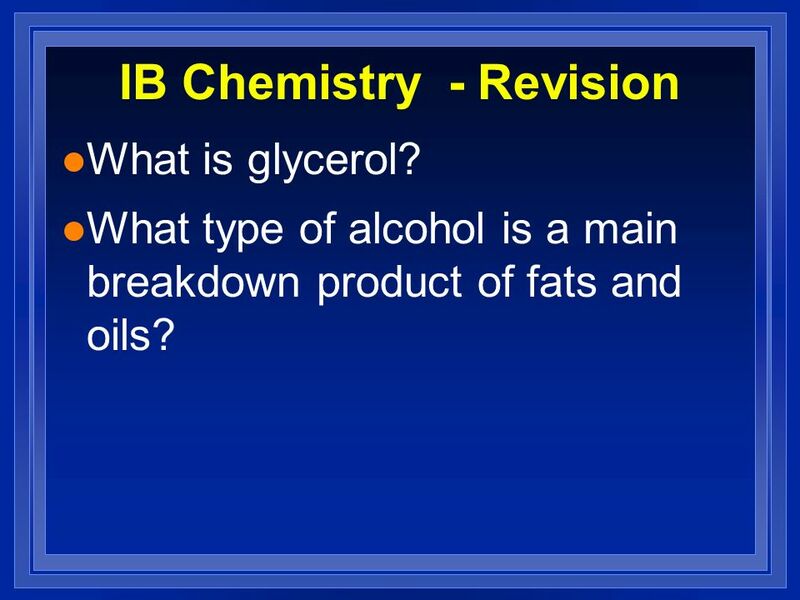 What type of alcohol is a main breakdown product of fats and oils? 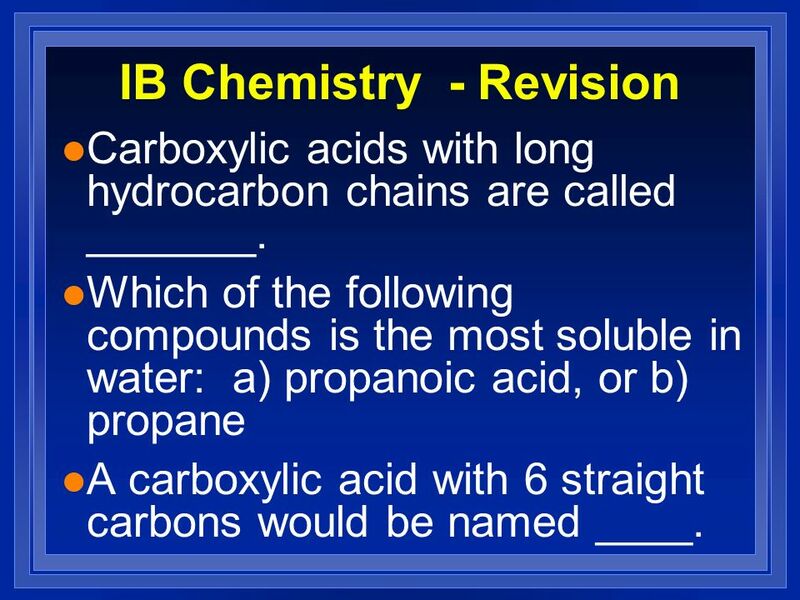 Carboxylic acids with long hydrocarbon chains are called _______. 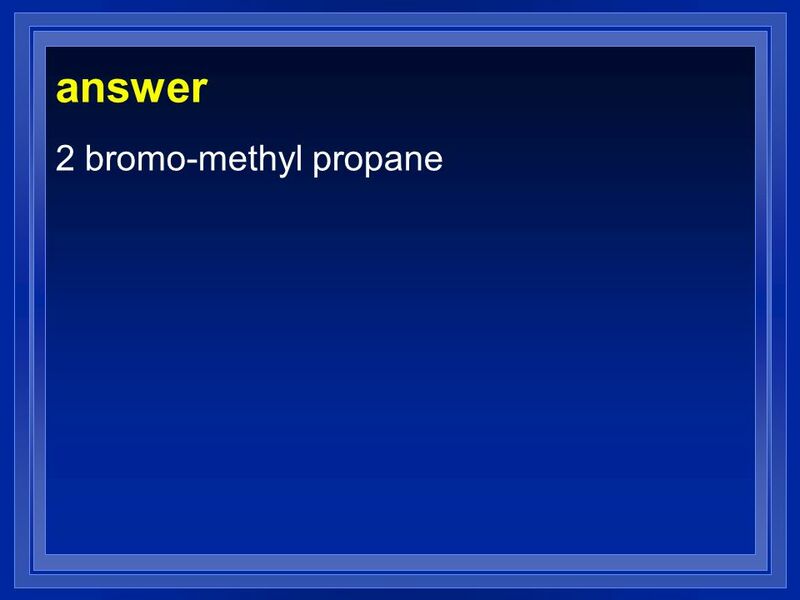 Which of the following compounds is the most soluble in water: a) propanoic acid, or b) propane A carboxylic acid with 6 straight carbons would be named ____. 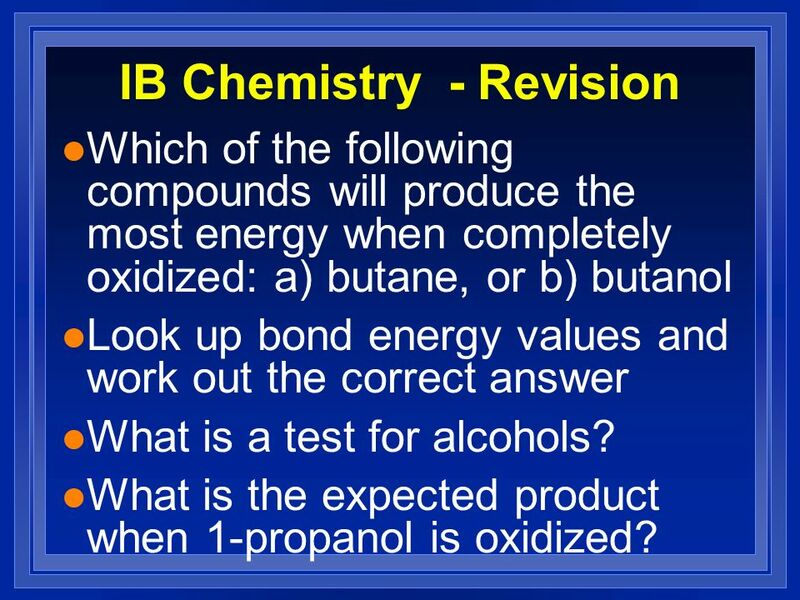 Which of the following compounds will produce the most energy when completely oxidized: a) butane, or b) butanol Look up bond energy values and work out the correct answer What is a test for alcohols? 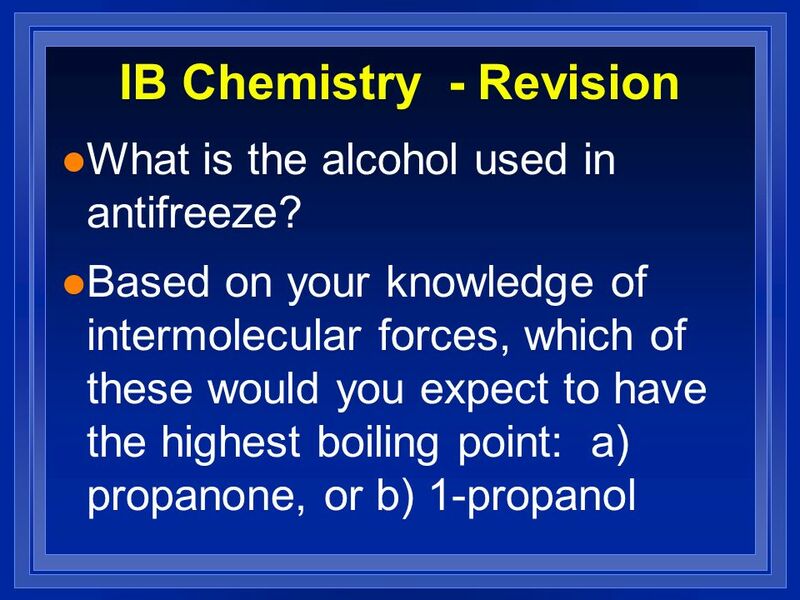 What is the expected product when 1-propanol is oxidized? 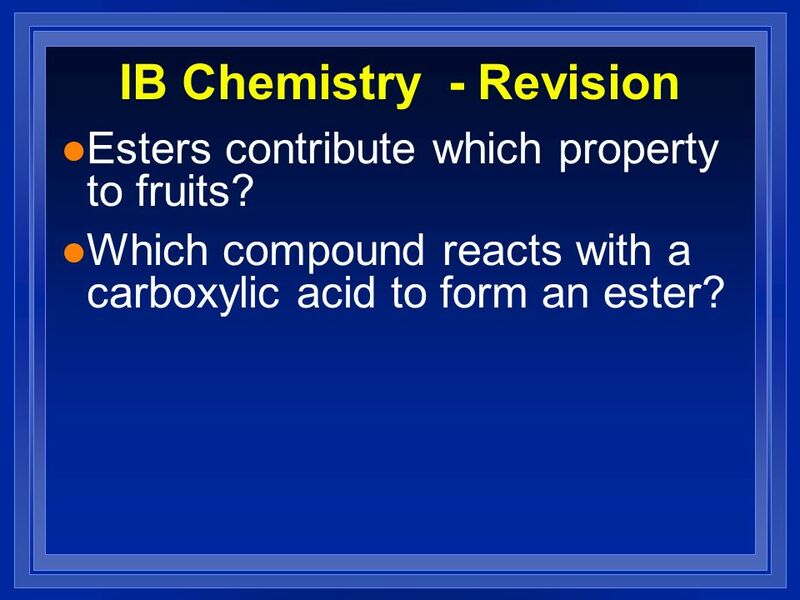 Esters contribute which property to fruits? 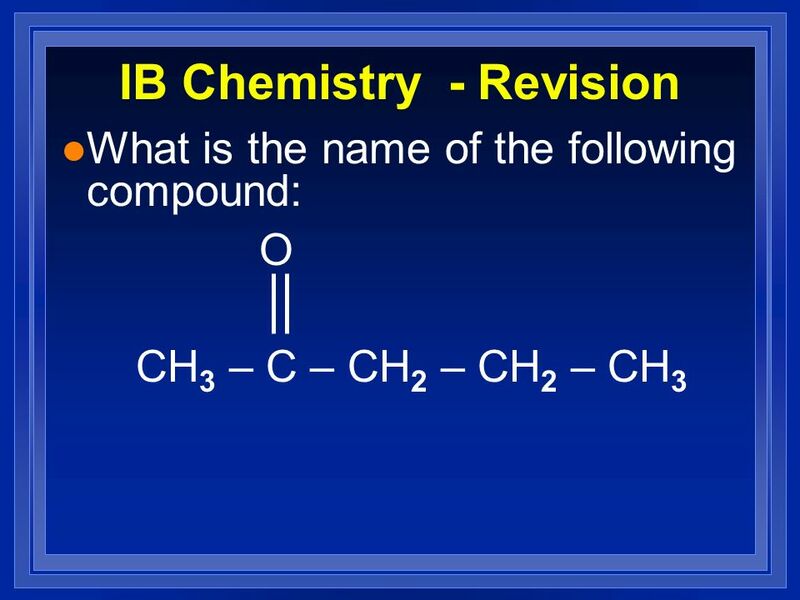 Which compound reacts with a carboxylic acid to form an ester? 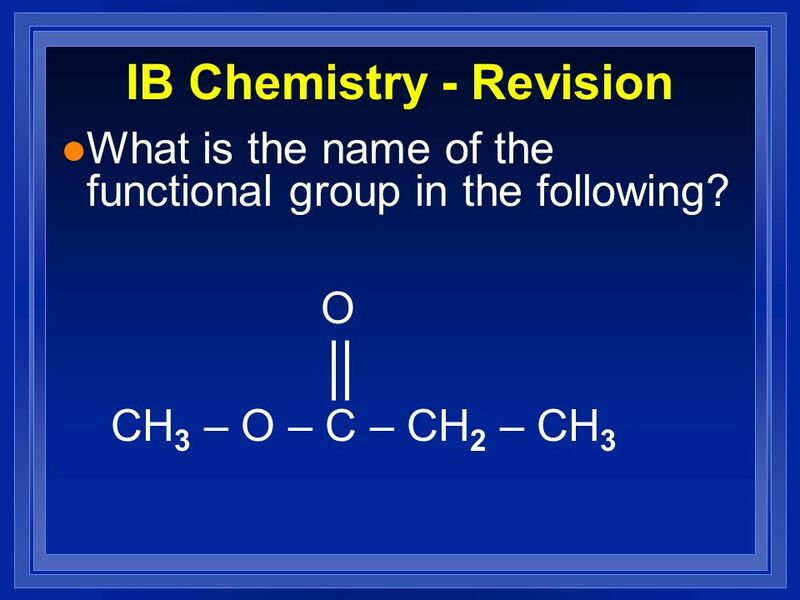 Download ppt "Revision Functional Groups and Organic Chemistry"
Functional Groups What is the family name?. Jan 2014 # Double bond represents 4 shared electrons. The hydrogen combined with the ethene to produce only one product (ethane). 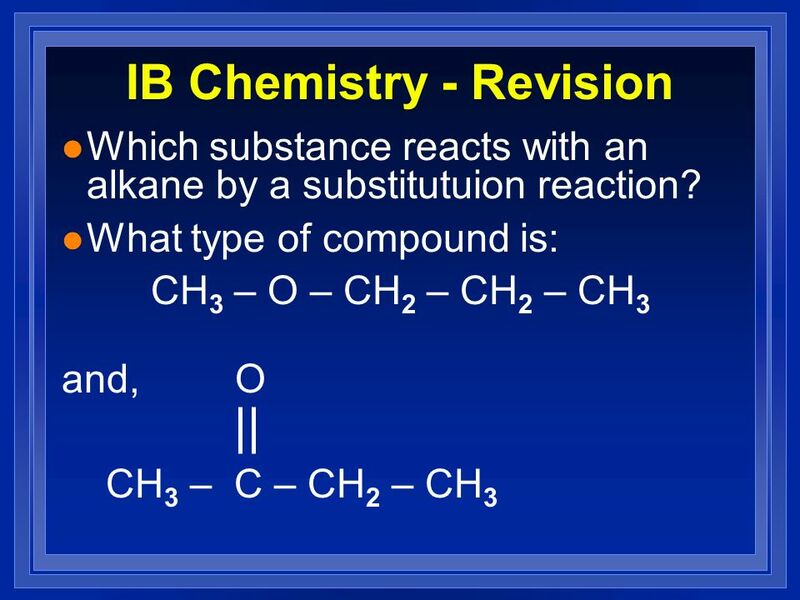 Other Organic Compounds. Hydrocarbon derivatives are organic molecules that contain one or more elements in addition to carbon and hydrogen. 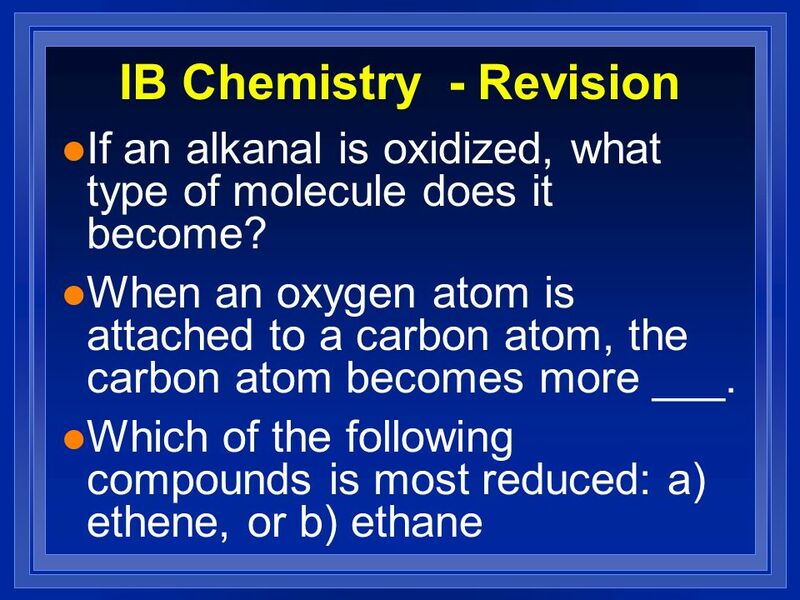 Carbon Compounds Chapter 8 Section 2. 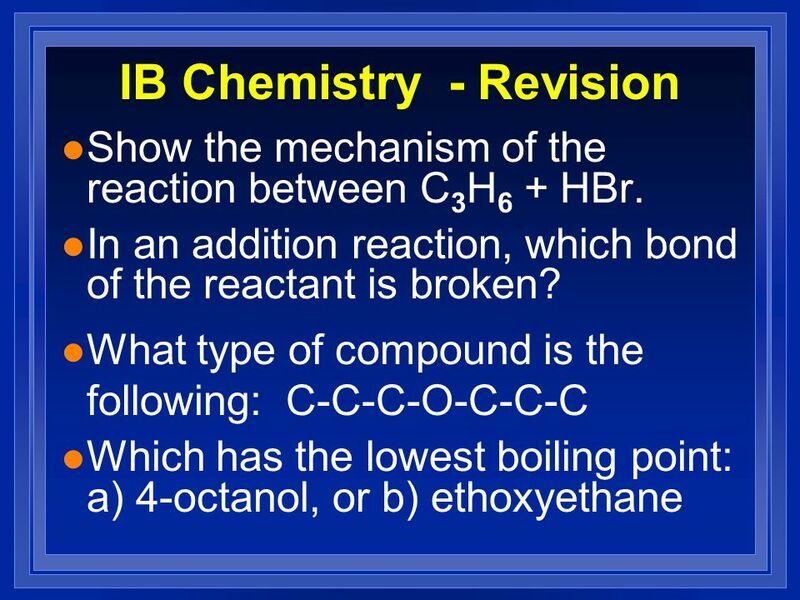 ORGANIC CHEMISTRY Organic Chemistry Study of carbon and carbon compounds Organic compounds contain carbon atoms which covalently bond to each other in. 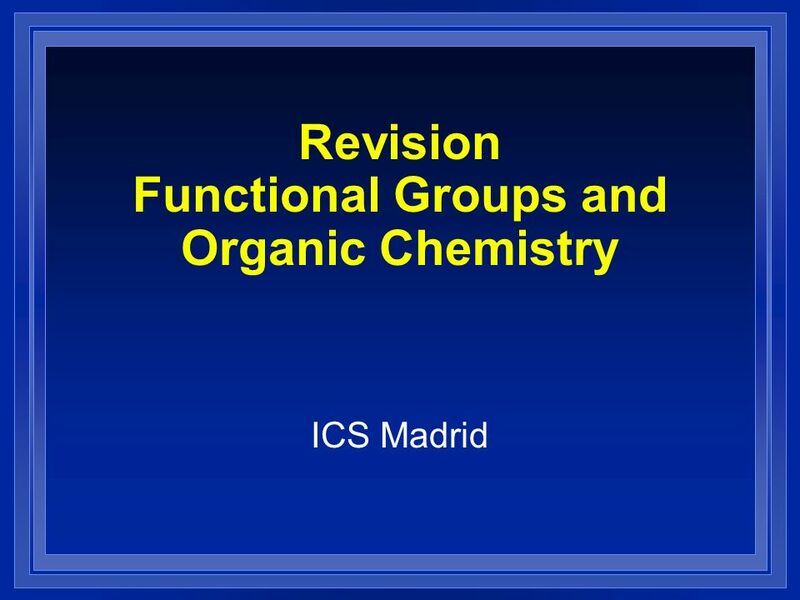 Functional Groups And Organic Reactions Double bonded Oxygen Kenneth E. Schnobrich. AN ester is simply an oxygen bonded between two hydrocarbon atoms. 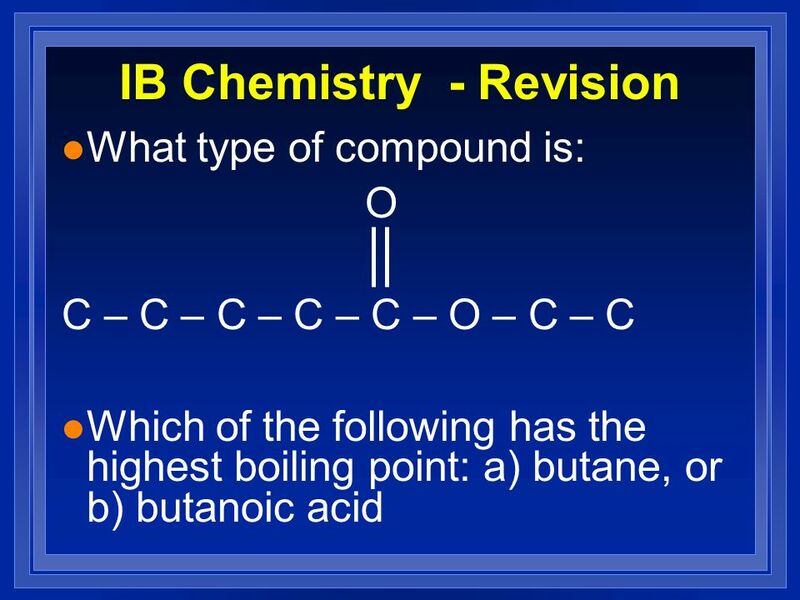 Properties of Aldehydes and Ketones Chapter 13 Organic Compounds with oxygen and Sulfur. 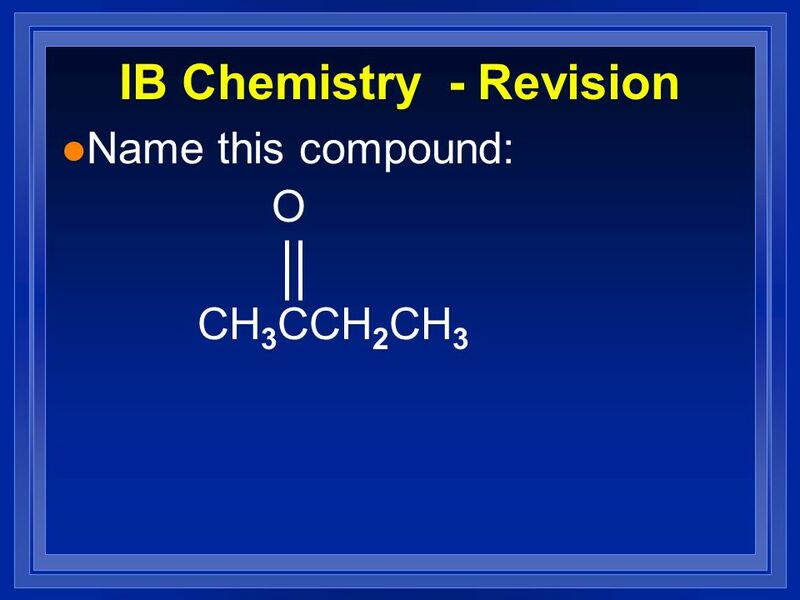 Aldehydes Ketones. 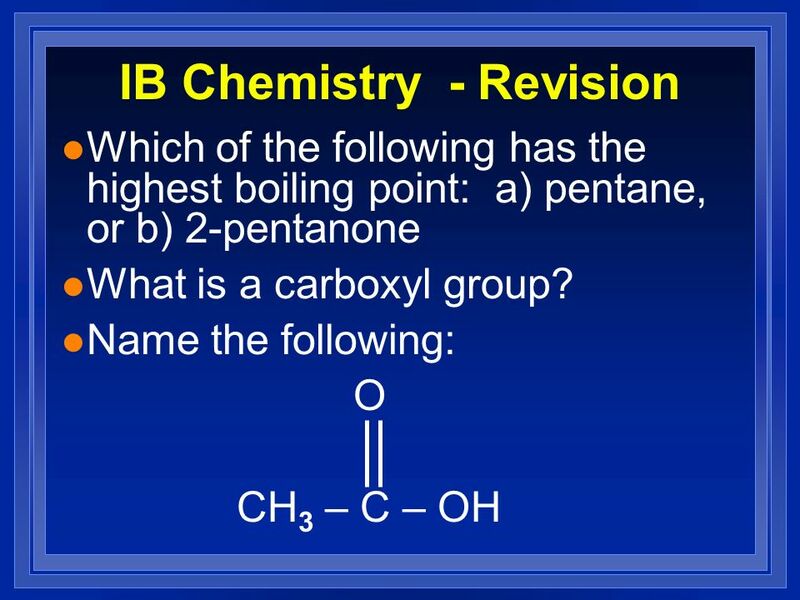 Carbonyl group C = O Aldehydes Ketones Carboxylic acids Esters. 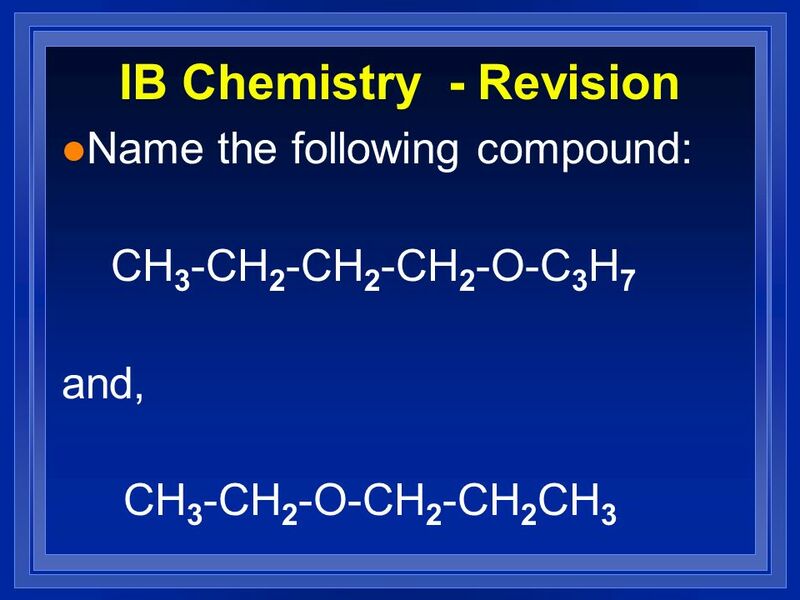 1 National 5 Chemistry Alcohols. 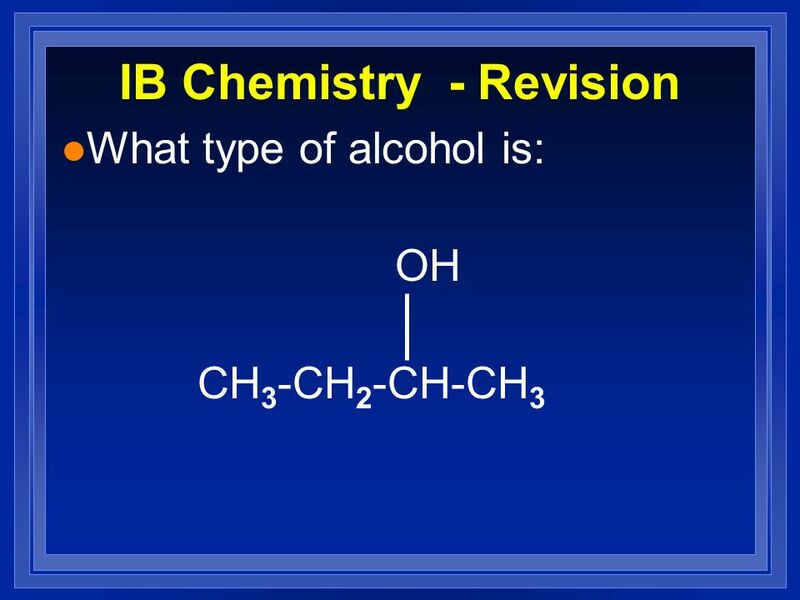 2 An alcohol contains  A hydroxyl group (—OH) attached to a carbon chain. Properties of Alcohols, Ethers, and Thiols Chapter 12 Organic Compounds with Oxygen and Sulfur Copyright © 2005 by Pearson Education, Inc. Publishing. Organic Chemistry Physical Properties. 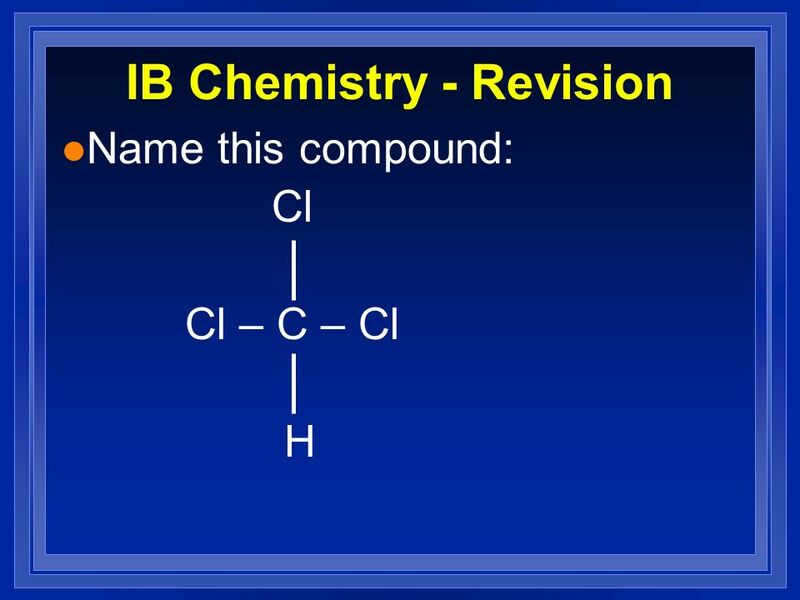 If the functional groups are the same, the length of the carbon chain tells us which organic compound will have.